Movie free listed from 8 April 2019. Liu Yue Ping (Chrissie Chau) reports to the ICAC about a rich 2G Cao Yuen Yuen (Raymond Lam) who bribed officers of the Hong Kong Correctional Services (HKCS) from inside the prison. 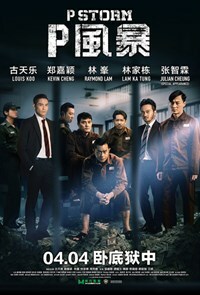 William Luk (Louis Koo) decides to infiltrate the prison as an inmate to conduct his investigation, while his partner Ching Tak Ming (Kevin Cheng) and Chief Inspector Lau Po Keung (Julian Cheung) back him up from the outside.